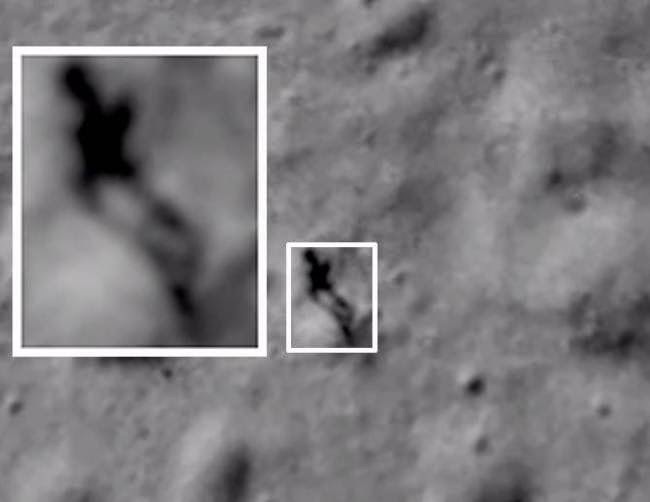 An eagle-eyed person has spotted what looks like the a human on the surface of the moon. 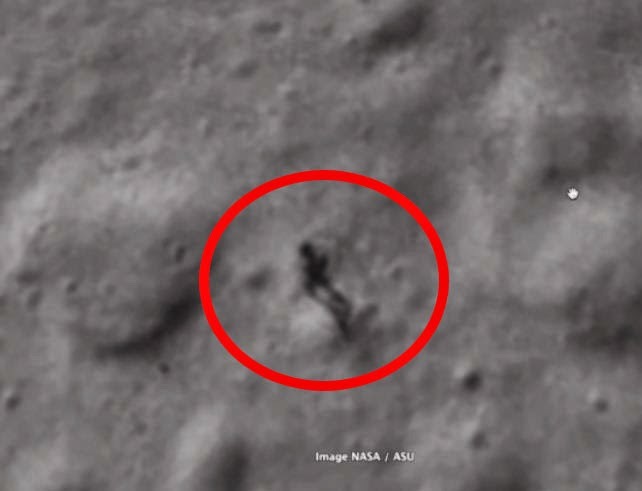 Using the Google Moon programme (like Google Earth but mapping out the moon instead, unsurprisingly), they stumbled across a dark outline that looks suspiciously like a man stood among the grey craters. Now, we are aware there are probably a thousand things this could be other than a man having a stroll on the moon, but it really does look like a human – it even has a shadow. Alternatively, maybe NASA accidently left a statue up there during one of their missions… for some reason. Unfortunately it is pretty hard to say for sure what it is just from looking at Google Moon, and NASA aren't planning on sending anything back to the moon until at least summer 2015.